Christmas Gifts for Kids' | Celtic & Co. If you are looking for natural and sustainable gifts for babies and children this Christmas, our beautifully curated collection will have what you need. All our products are made from pure natural shearling, a material that is not only known to be soothing and comforting to newborn babies but is also renowned for its temperature regulating properties. 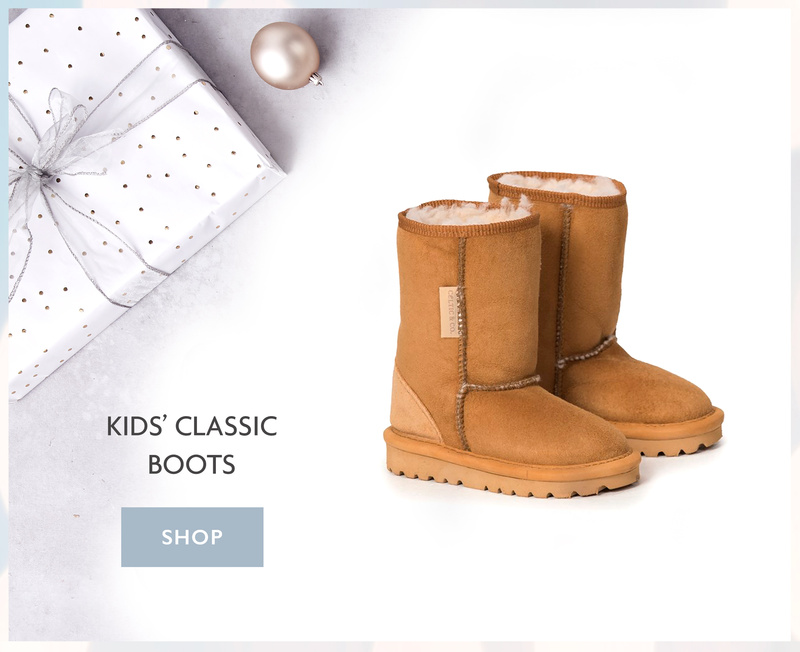 Give the gift of shearling to the children in your life this festive season. Our kids' Celt boots are one of our most popular children’s ranges! Handmade in Cornwall, these boots are crafted of pure shearling with a cosy soft inner, heel protectors and a ridged rubber sole, these boots will survive your child’s many adventures. Our kids' Celt can now be personalised with silver or gold text. Give the perfect personalised gift to your child this Christmas. Crafted from shearling, these boots are not only stylish but comfortable and durable. With their soft suede outer layer and super snug shearling inner, these ankle shearling boots can be worn by both boys and girls. Perfect for kids' aged 2 or up. We also have matching pairs in adult sizes for co-ordinated dressing. 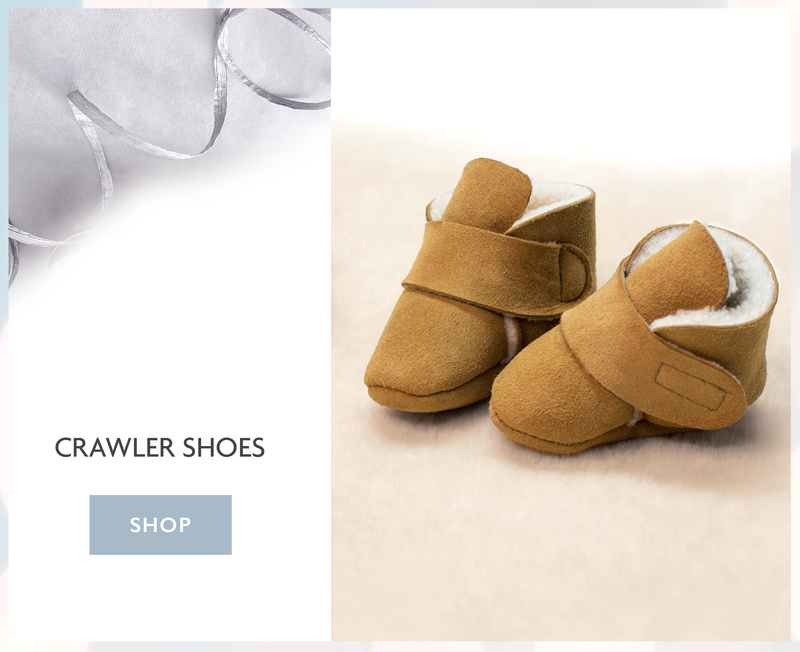 Treat tiny toes to the comfort and warmth of our beautiful crawler shoes. Made from 100% shearling, these cute little shearling booties are ideal for babies that are crawling or just starting to walk. Crafted in Cornwall, our crawlers have a handy Velcro strap and are machine washable. The perfect gift for your little one this Christmas. 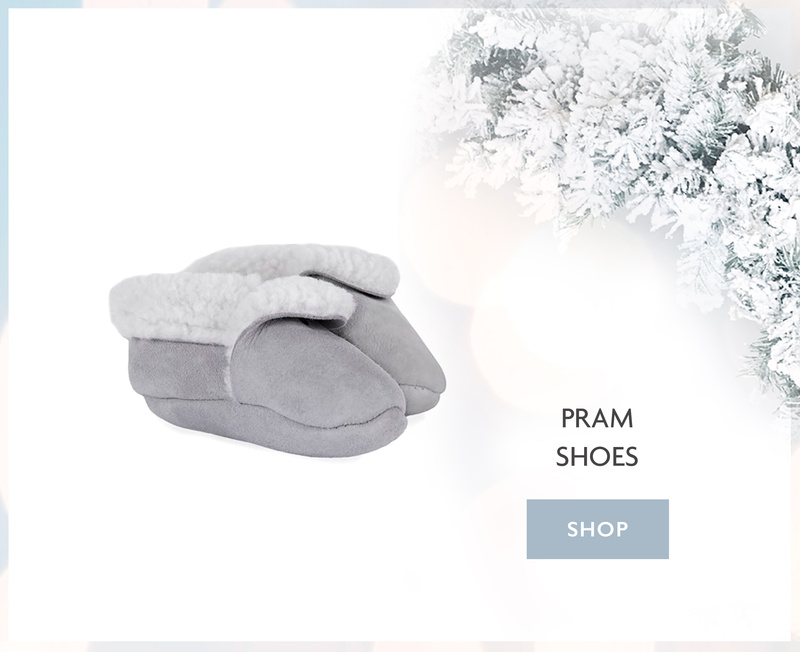 Keep little feet warm and snug with these adorable shearling pram shoes. Our handmade shearling booties have been specially designed to be soft on growing feet. A luxurious yet practical gift for a baby’s first Christmas. 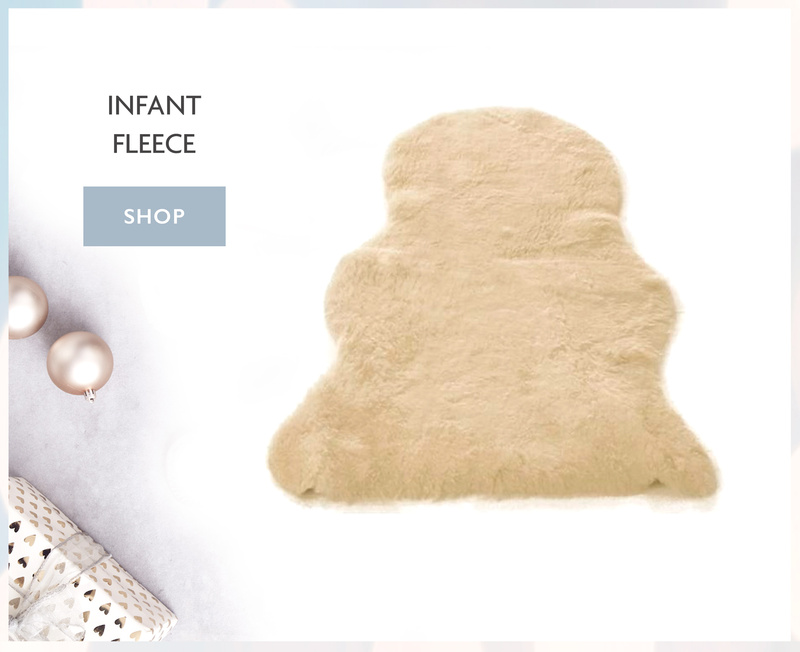 Soft and cosy, this natural 100% shearling fleece has temperature regulating properties that will help keep your precious baby warm in winter and cool in summer. Perfect for cots, prams or to use as a play mat, the fleece has been shorn to baby-safe levels and is machine washable. Ideal for a baby’s first Christmas. As a natural fibre shearling is known to have temperature regulating qualities. This shearling pram liner not only looks great but will also help to keep your little one warm and cosy when the temperature drops. 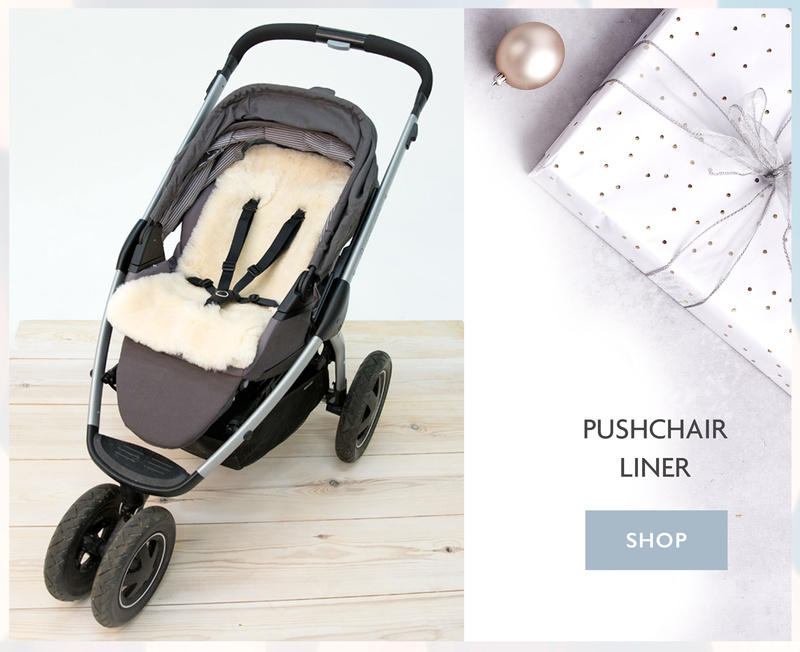 Designed to work on all pushchairs and prams, this shearling pushchair liner is machine washable with Celtic Wool Wash. Give the newest member of your family something a little different today. Give the gift of shearling to the newest member of your family with this adorable real shearling bear. Shorn to baby-safe length, this safe and natural comforter is suitable from birth and is EU safety compliant. 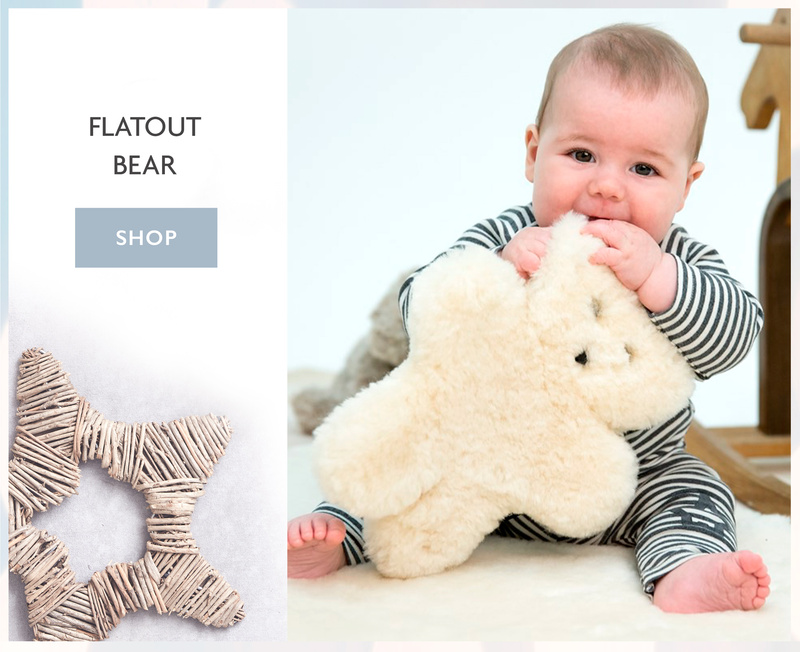 The perfect first Christmas gift for a baby boy or girl, this soft sustainable bear will be loved for years to come. 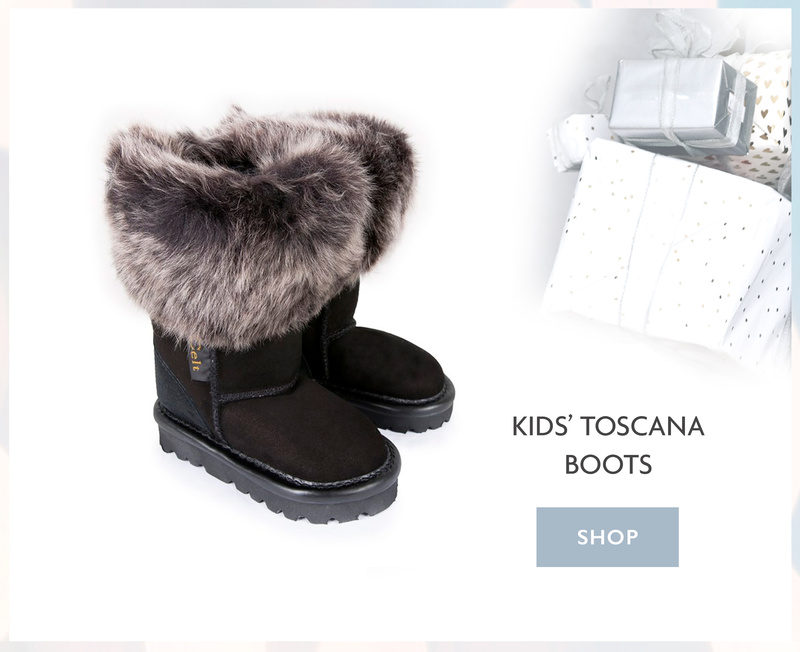 Bring a touch of style to your child’s wardrobe with these super soft Toscana shearling boots. 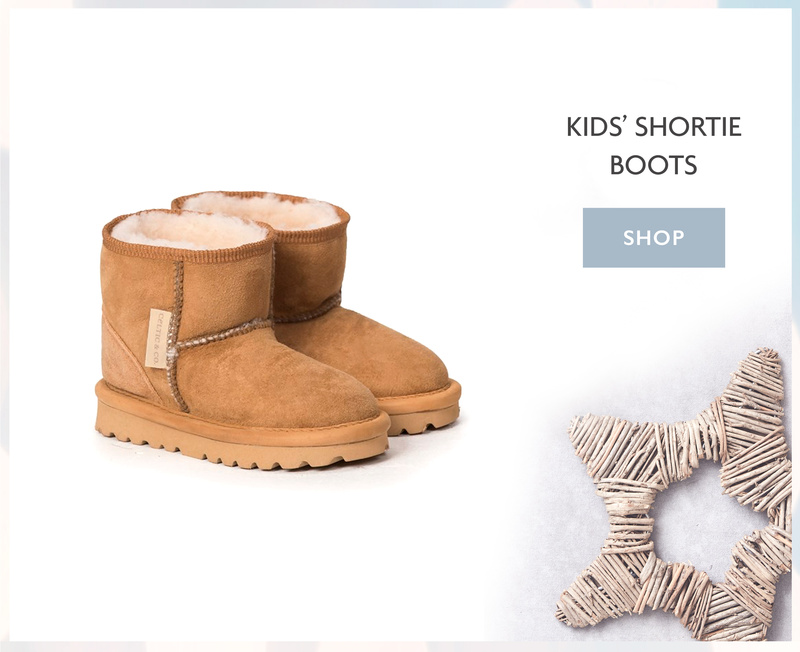 Made in Great Britain, these luxury shearling boots are the perfect gift for any fashion- forward little one. Complete the outfit with a shearling purse. Stylish and comfy, our kids' classic shearling boots can be worn by both boys and girls. Perfect for outdoor adventures, our classic boots have no hard edges to press on growing feet and can be worn every day. A perfect Christmas present for children of any age! The perfect accessory for any little one this Christmas, made with 100% shearling these pretty little purses are ideal for storing their favourite possessions. Coming in four colours with a popper fastening and a shoulder strap, you’ll find the perfect purse for your little one this festive season.